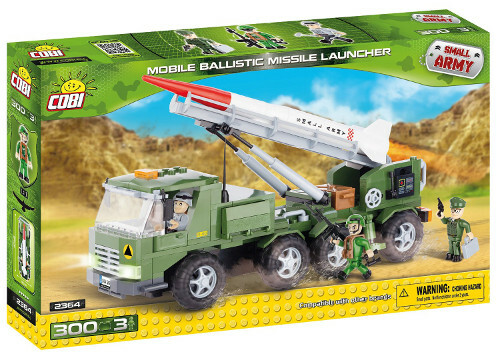 This new COBI Small Army Mobile Ballistic Missile Launcher set should be on every army's wish-list. This vehicle features doors that open, moveable side trapdoors and cantilevers. Among the numerous accessories you will find a chest, radio station and M16 machine gun with grenade launcher. This huge set consists of 300 blocks, 3 figures and a ton of cool accessories.